Rejoice, The Hunger Games fans! 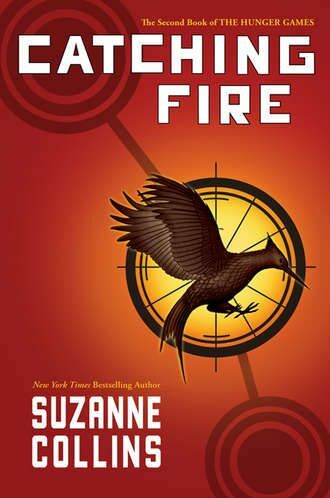 Production has officially started on the Francis Lawrence-directed follow-up, The Hunger Games: Catching Fire. According to their press release, the film “will shoot primarily in existing locations in and near Atlanta, Georgia. The film will subsequently be shot on location in the beaches and jungles of Hawaii before wrapping in late December, 2012.” Perhaps more importantly, the director has recorded a video message for fans, announcing a worldwide sweepstakes that will win some lucky fans a chance to visit the set and participate in a cast and crew Q&A! The Hunger Games: Catching Fire stars Jennifer Lawrence, Liam Hemsworth and Josh Hutcherson, in addition to Sam Claflin, Jeffrey Wright, Tony Shalhoub, Philip Seymour Hoffman, Jena Malone, Amanda Plummer, Lynn Cohen, Bruno Gunn, Alan Ritchson, E. Roger Mitchell, Meta Golding, Elizabeth Banks, Donald Sutherland and Woody Harrelson. Hit the jump for the video from Francis Lawrence and details on the fan set visit contest. The Hunger Games: Catching Fire opens November 22, 2013. Check out the video from Lawrence below (via The Hunger Games: Catching Fire Facebook page). Be patient if the contest site doesn’t load; I believe they’re doing some maintenance on it as of the writing of this article. THE HUNGER GAMES: CATCHING FIRE – Win a Trip to Set Sweeps! CATCHING FIRE? Submit your video & be entered to win a trip to set, take in the sites & sounds of production, hang out with fans from across the world & you may even get the chance to ask your question in person! THE HUNGER GAMES: CATCHING FIRE in theaters, November 22, 2013.